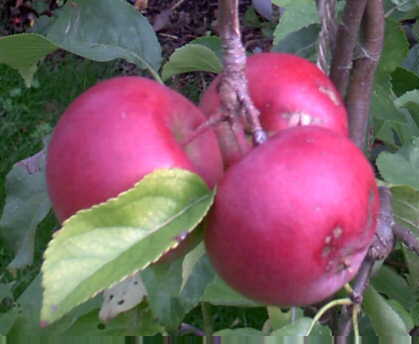 A suitably handsome and regally coloured Apple for such a name, the fruits are heavily flushed dark ruby red. By contrast the flesh is very pale and creamy with a delicate, perfumed floral flavour. First recorded in 1831 but thought to be even older, this is a small compact tree the fruits of which should be harvested in early September, they will keep for a month or more. Pollinate with Spartan, Red Ellison, Orleans Reinette, Howgate Wonder etc.